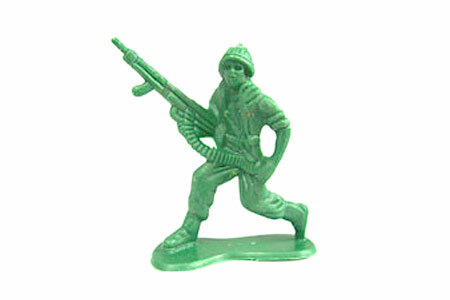 You know those little green army men that we all had growing up? 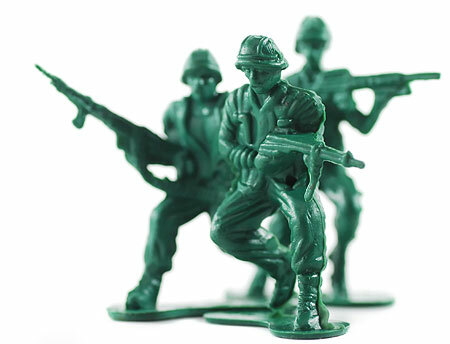 We kind of liked them, because they were cool military guys with weapons, but we also hated them cuz they weren’t as cool and poesable like modern 3.75″ figures like G.I. Joe. Well, they are iconic and will probably always be around for a long, long time. 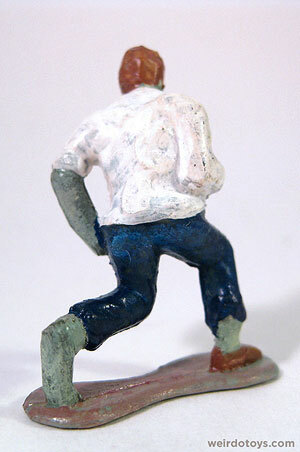 But what if the classic army men adapted to seemingly steady incline of zombies in popular culture? If these mini figures follow the trend of recent comics, movies, games and even car commercials, I’m thinking mainstream zombie toys aren’t far off. 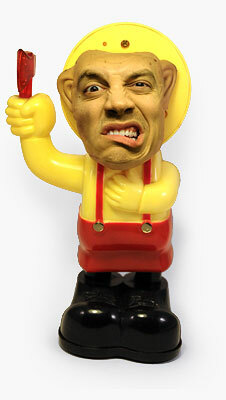 …but if he were a zombie, he’d look like this. Instead of a machine gun, he’s now armed w/ a machete and it looks like he may have cut his own arm off. Oh yeah, and he only has one shoe. A while back I received this little gruesome guy in the mail, and I knew I’d eventually share it with you guys. 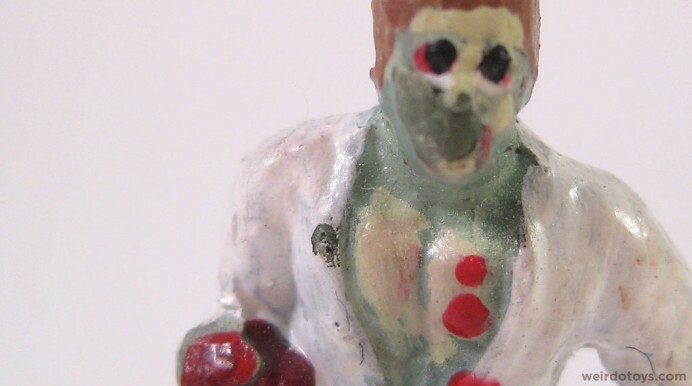 It’s an unbelievably tiny zombie toy with some nice detailing. He’s only 1.5″ tall. These ultra-closeup photos really don’t do the toy justice. Seeing a toy that’s so small this close makes it appear more sloppy and not very detailed. 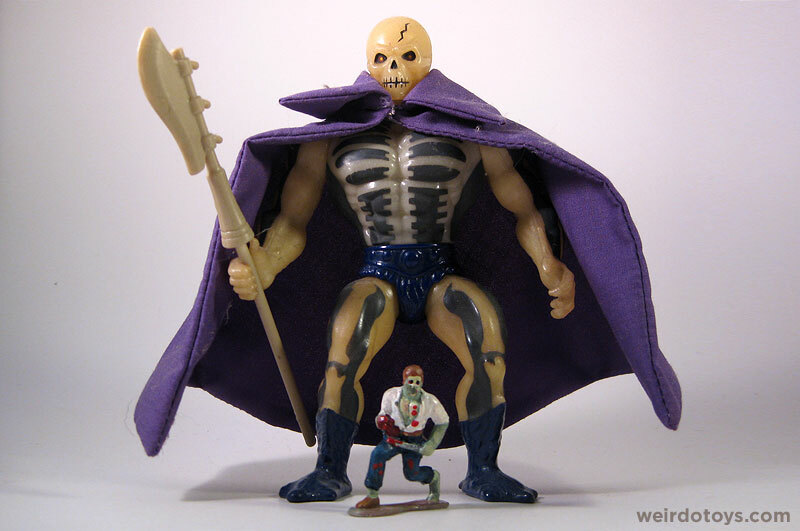 Just to give you a sense of scale, here’s the Lil’ Zombie pictured with a Master of the Universe Scareglow figure (Why Scareglow? I dunno. He just happened to be close by, and I know you guys know how tall a MOTU figure is). Tiny, tiny zombie. This toy actually reminds me a lot of the mini Z.O.M.B.I.E. figures by October Toys. Thanks a lot for the prototype, Sarah. 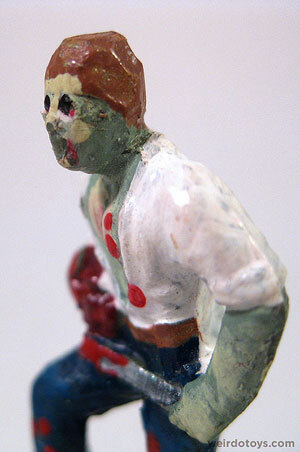 I hope to see more lil’ zombies making their way out into the toy world. Looks pretty awesome all the same. That’s cool. Do you happen to have a link where we can see this tiny creation? 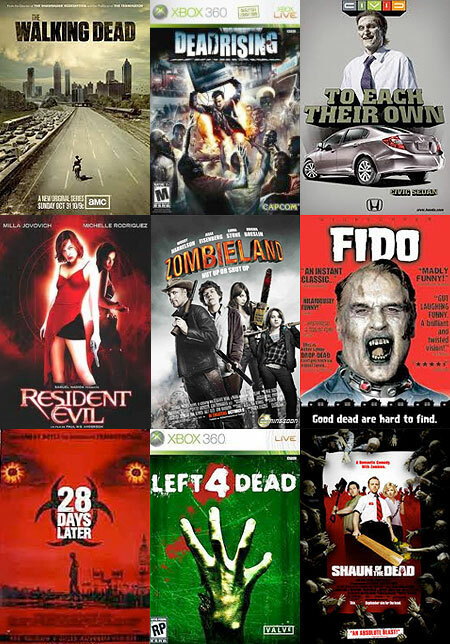 Imagine a whole army of such zombies! First up, that’s brilliant. 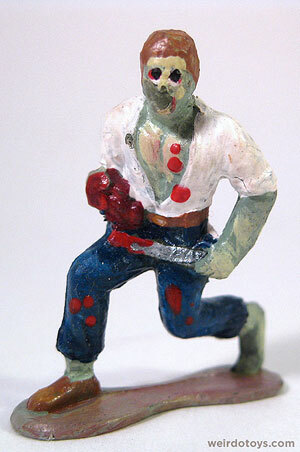 A dozen or so would make great gaming miniatures if you needed an army of the undead. That’s a great idea, to customize buckets of little green men into whatever you want – if you have time, like you say. And they’re so tiny. I don’t think my 10 year old would be up to that much detail on something that small. He’s fine spray painting them other colors to create an enemy army, but I think all that zombie painting would be a bit much. Maybe he could spray paint them in florescent colors and pretend they’re aliens instead of zombies!